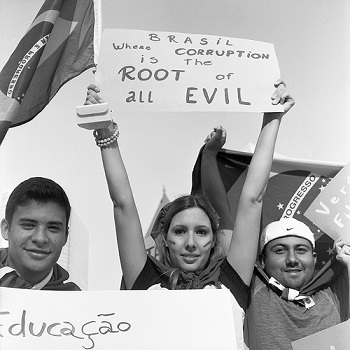 As the World Cup fades out and Brazilians turn their focus to the October elections, public debate will shift back to economic growth, social services, corruption, and – central to them all – the role of the state. Is the federal government too big, inefficient and meddlesome, as the opposition argues, or does it need to be strengthened to play a leading role in Brazil’s state capitalist economy, as the incumbent Workers Party has sought? In a recent paper (click here for draft), based on publicly available data of about 326,000 civil servants working within the 95 most important federal agencies in Brazil, we found a very diverse federal government, with agencies distributed widely on both capacity and autonomy. Our findings empirically confirm a long literature that highlights the coexistence of so-called “islands of excellence,” with high capacity and high autonomy, alongside low-capacity, low-autonomy laggards. “Islands of excellence” include Brazil’s Foreign Ministry (Itamaraty), the Central Bank, the Finance Ministry, the Justice Ministry, and the relatively young Comptroller General’s Office (CGU), created in 2001. Laggards include almost all of the infrastructure agencies, as well as the Ministry of Sports, perhaps helping to explain the recent World Cup construction snafus. Also interesting are the agencies with high capacity and low autonomy (such as the Federal Highway Police, which most state governors seek to empower and control within their own states), as well as agencies with low capacity and high autonomy, which few politicians seek to control (such as the Public Defenders Office). We found solid evidence that agency corruption – one of the driving forces behind last year’s political angst and popular protests – is correlated with lower capacity and lower autonomy. This finding could help frame debate in the upcoming campaigns and beyond: the keys to reducing corruption are to build agencies’ capacity and increase their autonomy from political partisans. The debate over the role of the state has been ongoing since the return to democracy in the 1980s. No matter who wins the October elections, the expansion of this data set and measurement effort will provide useful empirical data to more realistically evaluate the evolving performance of the Brazilian state, as well as to recognize the enormous differences and best practices within that state. *Katherine Bersch is a doctoral candidate at the University of Texas at Austin. Sérgio Praça teaches Public Policy at the Federal University of the ABC in São Paulo. Matthew Taylor, a regular contributor to AULABLOG, teaches at American University. Nicaragua’s Canal: Great Leap (of Faith) Forward?